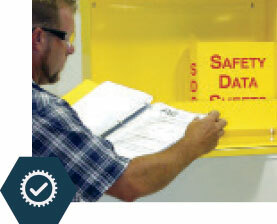 Our menu of safety services can help you avoid injuries, facilitate compliance, manage risk and increase productivity. From safety assessments, audits and testing to developing safety programs and training your employees, we can help. Safety services and topics include lockout/tagout, machine guarding, arc flash, emergency eye wash, indoor air quality, first aid, CPR, aerial lifts and more. Convenient delivery options include online solutions and onsite services offered right at your location. Assessments: Assess your processes throughout specific areas to help identify potential hazards or high-risk areas for implementing remediation actions. 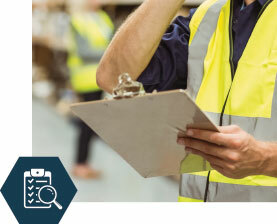 Compliance & Testing (Industrial Hygiene): Conduct audits or tests for identification and/or monitor hazardous work areas so that controls and safe work practices can be implemented. Consulting & Turnkey Solutions: Unique projects that need specific support or design help for those EHS areas that need additional areas of expertise. 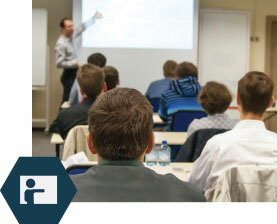 Program / Procedure Development: Effective programs and procedures are an important component of an overall EHS system. Those programs and procedures are developed for operations through online templates or custom onsite development. Training: A wide range of EHS topics are available to equip individuals with the knowledge needed to effectively perform their tasks safely. These training opportunities are available through an online experience or led by an instructor at your location. 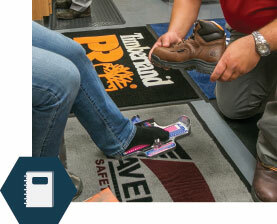 Grainger Online SafetyManager®: A suite of tools designed to make it easier than ever to manage, track and maintain critical workplace safety activity and information right from your computer. This online solution includes: training management, online training courseware, safety data sheet management, safety assessment and compliance monitoring, and more.